In every business, there is one silent player that can absolutely make or break your operation — the warehouse. Warehouses form the nucleus of numerous businesses and it is imperative that they are managed efficiently. However, its size and structure can become overwhelming if not managed properly. You can manage it efficiently by implementing a warehouse management system, with which you can control the movement and storage of the materials within the warehouse. Additionally, you can incorporate tasks like transportation management, accounting systems, light manufacturing, etc. Managing inventory effectively and maximizing warehouse productivity rank on top of the priority list of almost all the warehouse managers. 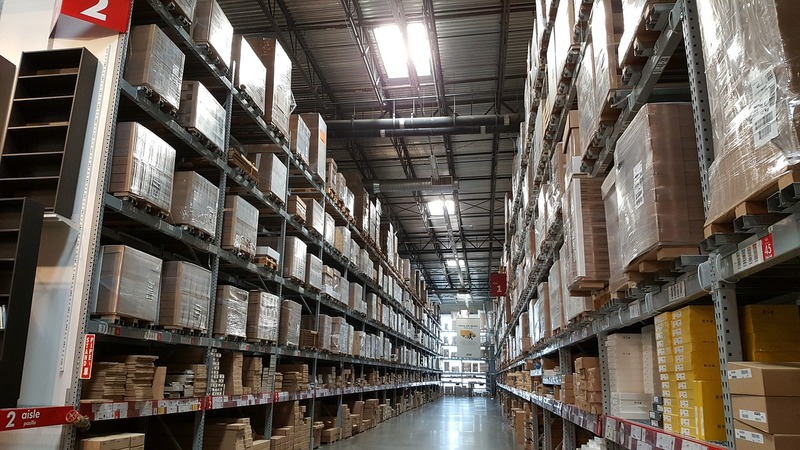 If you are one of them, these 7 warehouse management tips will help you in improving inventory control and achieving effective warehouse management. The warehouse layout must be carefully planned out in order to maximize storage space. You must arrange the space in a manner that allows you to move smoothly and with ease while carrying goods around the warehouse. You must keep enough space to maneuver the forklifts and weight carrying machines around without any hindrances. Mark the bins and place them in a planned manner to avoid confusion and stocking of goods at inappropriate places. The right layout will also help in minimizing safety hazards. You must arrange your inventory based on how and when you use/need it. You shouldn’t hoard inventory unnecessarily throughout the year unless there is a regular demand. Keep the stock levels at 1.5 times the average for avoiding blocking of working capital. With optimised inventory holding, you can effectively reduce the cost of storage. You can study historical trends as a part of your warehouse management process to forecast the inventory need. The objective of cross docking is to reduce the shelf storage time of stocks in the warehouse. It helps in transporting warehouse delivered goods quickly to the outbound carriers that can take the stocks to distribution centres. You have to ensure that the warehouse layout supports cross docking. Don’t make your warehouse an unsafe place for your employees. If your staff isn’t trained properly, you will have numerous accidents and high injury rates. Ensure that only the well-trained and experienced employees operate heavy duty equipment such as forklifts. Mark the safety protocols in the warehouse, such as indicating a safe distance from danger zones. Make efficient weight scales, such as truck scales, an integral part of your warehouse as it helps in optimising all the weighing processes. You can improve the accuracy of the billing and shipping tremendously, thus increasing the revenue. The overall workflow productivity is also enhanced. Technology is a good friend to have in the warehouse. New robotics technology has become the most sought after technology in many companies. You can partner up with warehouse management systems and create customized software and smart robots that can help in managing the movement, storage and sorting of warehouse inventory. Automated vehicles come a close second. By incorporating self-driving technology in the warehouses, you can reassign human labor to more critical jobs and enhance safety and efficiency. 3D printing technology allows on-demand production of various components for manufacturing at the location itself. It can effectively eliminate the need for any transportation, thus reducing the cost and lead times significantly. Innovation of newer, lighter and stronger materials like nanotubes and graphene is also exciting news for warehouse and logistics management. You need less energy to transport lighter materials and equipment. To make it even better, self-repairing finishes and self-assembling materials are already in developmental testing! Demand planning is a crucial part of forecasting inventory purchases, stock requirements and customer buying trends. This helps in optimizing inventory levels and meeting the demands of the customers at the same time. When the demand planning is effective, you can track the sales trend history, product activity during specific seasons of the year, trends of various manufacturers and different rules of warehouse storage and business. Don’t let the complexities of a warehouse wear you down. With careful and efficient planning, you can achieve your goals and manage every single warehouse with high efficiency. Kevin Hill heads up the marketing efforts and provides technical expertise to the sales and service teams at Quality Scales Unlimited in Byron, California.